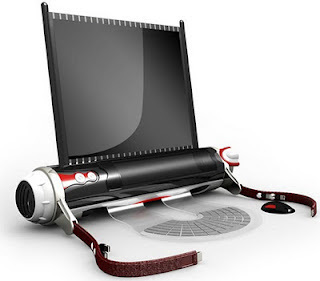 D-roll or Digital roll Laptop is a new remarkable concept which has the same shape and same function as traditional laptops have. D-roll has long tube shape which is inspired from the storage concept mostly used by the artists, designers etc. 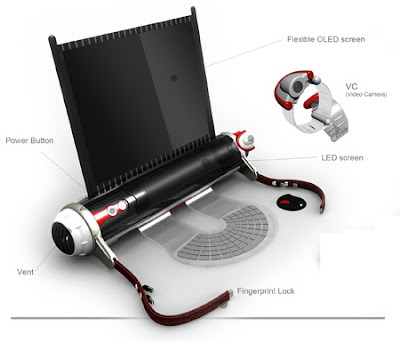 D-roll Laptop is multifunctional laptop with a roll of OLED display. D-roll Laptop has a very cool design and also containing a slide out keyboard and a mouse and a webcam to be used as covers for the case. 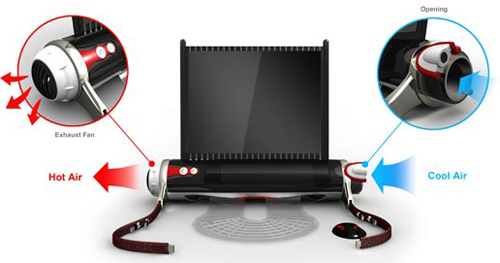 In the E-mail mode: The main display screen is switched off and a smaller screen attached to the main body of the tube is switched on. 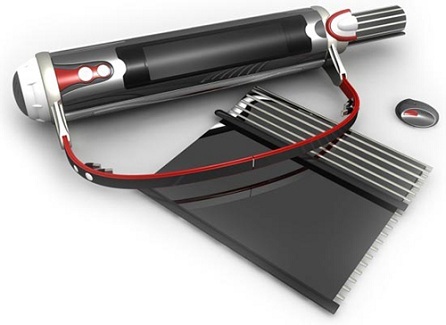 The D-Roll solves overheating traditional problems of standard laptops as the D-Roll uses a unique cooling system that allows air flow to cool the system inside and out and creating air circulation sending heat from inside the system and then out acting like an exhaust.